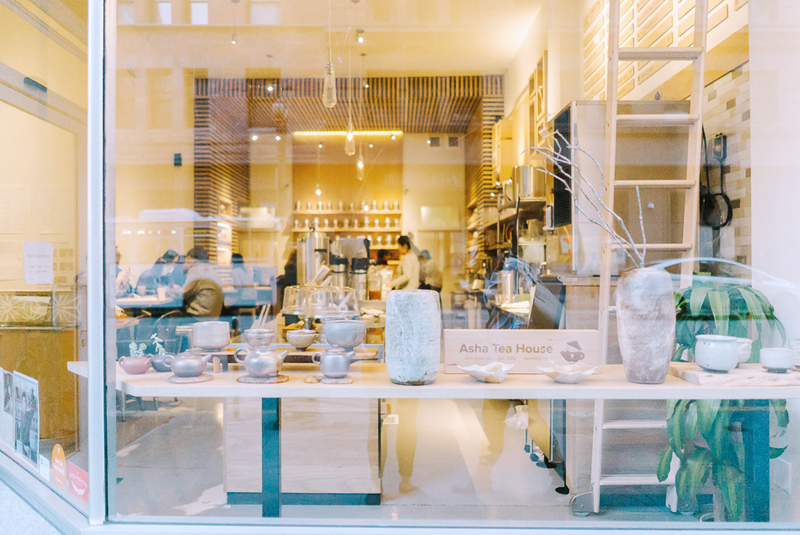 Owners Diana and David Liu requested an airy, serene environment to counteract the hectic FiDi work culture for their second tea shop location. 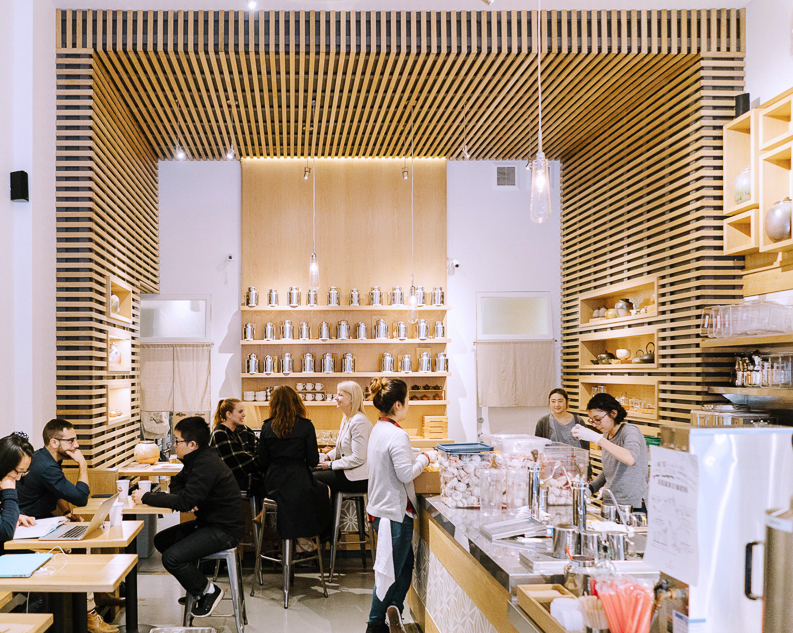 Serving high end matcha and hand-crafted boba tea drinks, they even make their condensed milk from scratch, and flavor their fruit tea blends with house-made fruit purees made from local and seasonal fruit. 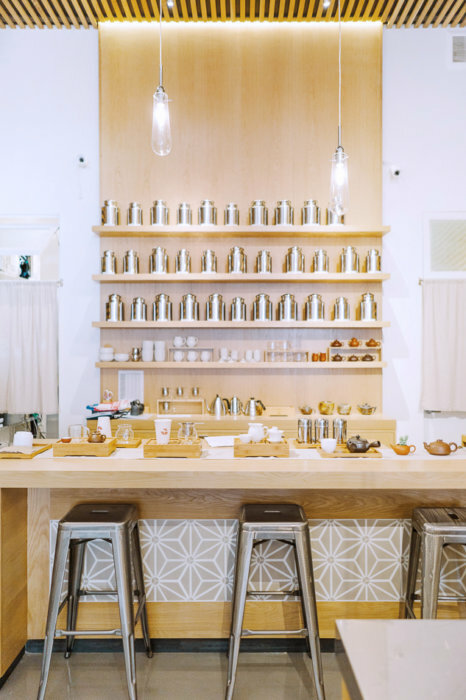 All of their teas are sourced directly from growers. 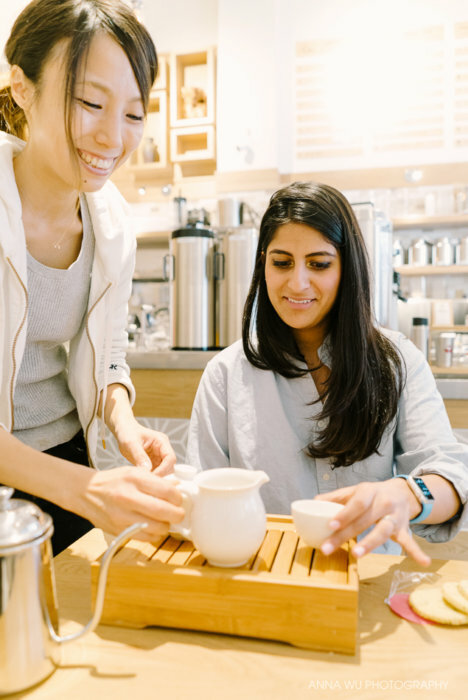 With so much thoughtfulness in their products, we wanted our details to reflect this care. 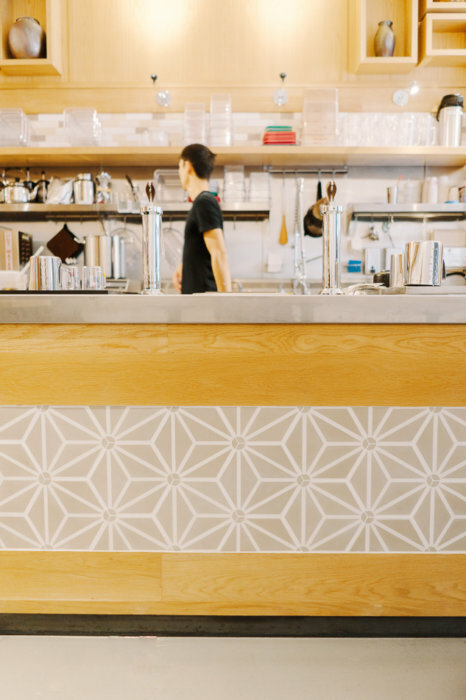 We framed starburst-patterned encaustic tile with exaggerated solid oak borders throughout the space. 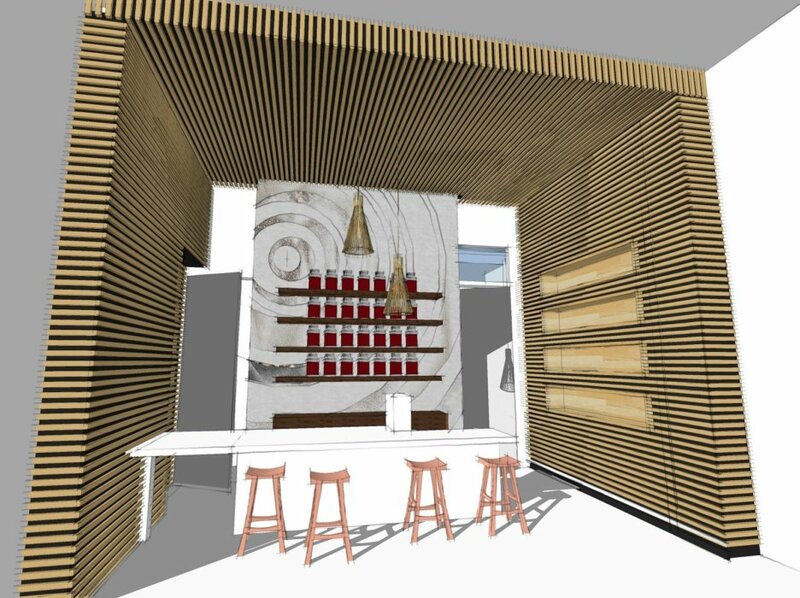 We also created white oak boxes within the oak slat walls and ceiling surround to showcase tea wares at the back tasting bar.